SEO reporting can be seen as an equivalent of periodical health checkups for your SEO campaign. They not only give you insight into the efficiency of your SEO efforts but provide you with a blueprint for running them in the future. This is enabled by getting a clear overview of various parameters that should be assessed in each SEO report you prepare. They can be done regularly or upon the start of the implementation of a new SEO campaign, in order to better assess current levels of performance in that segment. Considering the importance of this measure for your overall SEO performance, you will do well to read on and get more insights into what each quality SEO report should feature. Traffic remains an essential component of SEO reporting, which is made more readily available thanks to the popularity of Google Analytics or similar platforms for the collection of related data. The key feature of this segment of the SEO report is comparing the performances of sessions for different time intervals, such as weeks, months or years. 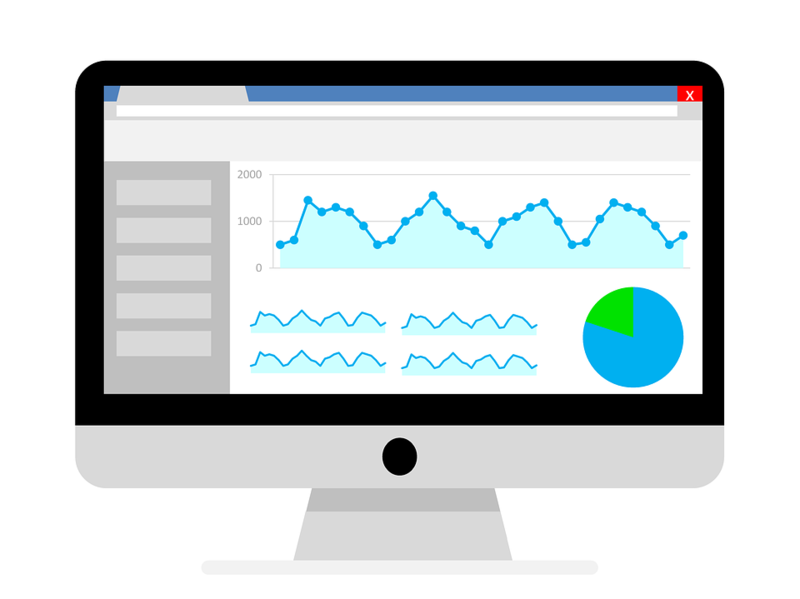 At the same time, you can fully customize SEO reports according to the requirements and nature of your business. Based on this, you can also prepare quarterly comparisons of your SEO traffic performance. In the report, every traffic source should be accounted for. This includes direct navigation, referral traffic and search traffic. Bookmarks, email links without tracking codes and typed-in traffic need to be checked, together with referrals from promotional or email links. You need to examine search traffic for queries that send traffic your way from any relevant search engine. If you observe that your search traffic stats are taking a nosedive or underperforming, your SEO experts will have to examine if the related search engines are affecting this. For example, you may notice that there’s a drop only in your Google-related performance, indicating that your website probably got penalized for some reason. Reporting on your SEO performance rests on another key feature that deals with traffic performance from the perspective of individual pages, rather than the entire website. This metric involves identifying the number of pages that receive search engine traffic. Based on this segment of the report, your SEO team will have better insight into the indexation parameter which is related to the number of your website’s pages that are kept in the indexes of search engines. It comes in form of a trackable number referring to the pages included in the search engine result pages. Your SEO report should include a visual representation of a trend line that allows for easier tracking of this key parameter of your SEO performance. In case you observe an upward trend, you can easily correlate it with your ongoing efforts to improve your site’s content, XML sitemaps, link distribution and overall architecture. In addition to this, your SEO report will need to tell you if the site’s indexability has been subject to a Google penalty. If Google establishes that your website is underperforming, it will penalize you, causing your rankings to drop. Therefore, it is best to report any warning message and outline the measures undertaken to rectify the situation. Yet, if your SEO report points to a traffic drop across all search engines, the factor to blame is probably poor accessibility to your website. This means that any SEO report should include the accessibility level as a regular feature. This consists going over technical aspects of your website’s SEO performance, particularly in terms of the user experience (UX) it offers the visitors, which some expert say is what you should focus on. Therefore, you’ll need to check if everything is fine with your redirects, robots.txt files, meta tags and XML sitemaps. All of these components will have to be properly formatted and rendered functional, together with the related description of these activities in your SEO report. In general, your SEO reports have to account for the potential impact of your website’s architecture on recorded SEO performance. Keyword audit is an important element in any SEO report. These accounts have to feature assessments of keywords deemed relevant to your market or niche. In accordance with these, you’ll be able to establish which keyphrases can be targeted as part of your future SEO efforts, as well as learn more about your audience. When preparing this segment of the report, you can use tools such as Moz and Google Keyword Planner that allow you to determine your website’s ranking for the keywords that you use. Do not forget to include historical data that describe your keywords’ performance over a specified time period. Your SEO report will also have to account for the assessment of engagement metrics. This component has a major impact on your overall rankings, no matter what market you might operate in. In a nutshell, this metric will need to find its place in your SEO report since it describes the manner in which your audience interacts with your website. You will get a better search engine ranking the easier it will be for your audience to navigate through your site and engage with its content. Your report should include an assessment of engagement metrics for key three segments. The first among these is bounce rate, which is the percentage of visitors that leave your website without substantial interaction with your web pages or content. Another important metric is average session duration, which is the average time that each of your visitors spends on your site. Also, you’ll want to include the evaluation of average pages per session, i.e. the number of pages viewed by a visitor during a particular session. SEO reporting is a task you want to perform regularly, in order to be able to optimize your SEO strategy in a timely and meaningful fashion. This assessment will give you insight into key metrics that help you determine the efficiency of your overall SEO efforts. The essential components of SEO reporting deal with traffic, number of indexed pages, accessibility, keyword audit and engagement metrics. Put together, they make up a complex mosaic that will serve as the map to striking pure SEO gold.